Haml (HTML abstraction markup language) is a markup language that’s used to cleanly and simply describe the HTML of any web document without the use of inline code. 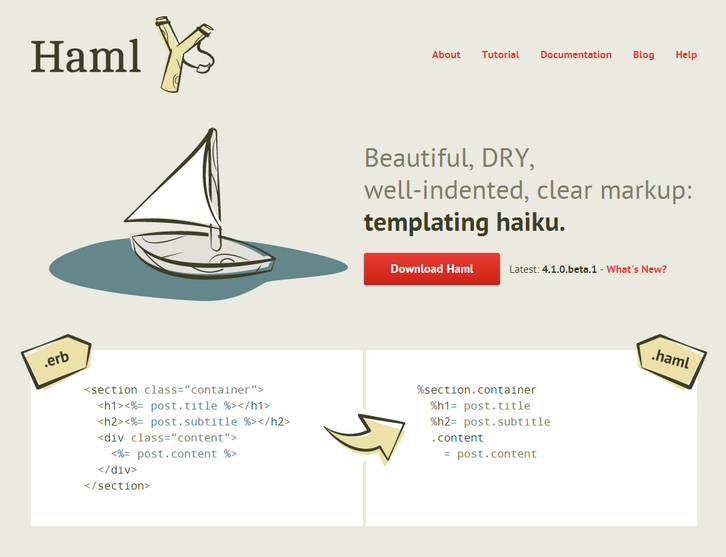 Haml functions as a replacement for inline page templating systems such as PHP, ASP, and ERB, the templating language used in most Ruby on Rails applications. However, Haml avoids the need for explicitly coding HTML into the template, because it itself is a description of the HTML, with some code to generate dynamic content.